Fourteen years ago when I decided to become a Solo Mom, I called the 800 adoption hotline for the Department of Children and Family Services (DCFS). I attended a 90-minute orientation and opened up my application for adoption. Submitting an application put me in line for the placement of a child. Over the next two years, I would slowly chug through the process of being approved for adoption through Los Angeles County. It took me two years because of my own doubts and fears. During the process, I realized I really wanted a baby. This meant that I would be taking in a child whose biological parental rights had not been severed, thus I would need to become licensed for foster care. I barely listened to the social worker talk about risk. I had set my intention: I wanted a baby! On October 20, 2003, I received the call. “We have a baby for you.” He was three days old. The mother had given birth in the hospital and walked away without anyone’s knowledge. I was told about the health of the baby and told that this was a very low risk situation. He was placed in my home as a foster child. It took almost a year before the parental rights were terminated. We were lucky in that there were no biological relatives, even though DCFS had to do its due diligence by looking for them; therefore, I did not have to worry about visitation or reunification. I never doubted that this child was my son from the moment I got the call. My experience is not everyone’s experience. In fact, the process of adopting through foster care is unique to each Solo Mom and her prospective child. There are laws that govern the process, ostensibly to protect the best interests of the child, but there are some who would argue that it doesn’t always happen that way. So it is good to go into the process of adopting through the foster-care system with your eyes wide open and with as much information and support as possible. Can I foster and adopt as a Solo Mom? In every state in the United States it is legal for a single person to foster and adopt. However, in some states and even some agencies, you may find a bias toward heterosexual married couples. Adopting on Your Own: The Complete Guide to Adopting as a Single Parent by Lee Varon (Farrar, Straus and Giroux, 2000) is a helpful resource for single adopters. Can I adopt without becoming a foster parent? There can be a misconception that foster parenting and adopting are two completely different paths. In the United States, unless you pursue a private adoption, you will be fostering the child who is placed in your home for some period of time. Private (or independent) adoption is a legal method of building a family through adoption without using an adoption agency for placement. In private adoption, the birth parents relinquish their parental rights directly to the adoptive parents instead of to an agency; therefore, the child may not need to be fostered. However, private adoption are still governed by state laws. The birth parents’ right to change their minds, as well as the speed at which finalization happens, varies from state to state. More information, visit the Independent Adoption page at Adoption 101.com, or read The Complete Adoption Book by Laura Beauvais-Godwin and Raymond Godwin (Adams Media, 3rd ed., 2005) or Adopting in America: How to Adopt Within One Year by Randall Hicks (Wordslinger Press, 5th ed., 2011). What does it mean to foster a child? The legal definition is: “A child without parental support and protection, placed with a person or family to be cared for, usually by local welfare services or by court order. The foster parent(s) do not have custody, nor is there an adoption, but they are expected to treat the foster child as they would their own in regard to food, housing, clothing and education.” Any child who has been given up by or taken away from their family becomes a ward of the state. Whether that child is placed with you by a private agency or a government agency, the state retains custody of the child until such time as the biological parents’ rights are relinquished or severed by the court and the adoption is finalized. How long will I be a foster parent? That will depend on many factors, the most important of which is when (or if) the biological parents’ rights are terminated. If you accept the placement of a child whose parental rights have been terminated, that is considered a lower risk path to adoption. The laws in your state will also determine how long you will foster until the adoption is finalized. What can minimize my risk? Honesty. Social workers who will be straightforward and forthcoming about a child’s situation and history. You are choosing to take a child into your home who is not of your making and is not in your custody. You are going to be relying on the agency, your social worker, and your child’s social worker (often the child has his or her own) to give it to you straight. Support for your choice to adopt a child as a Solo Mom. Support for your choice of child: the age, gender, ethnicity, and other details of the child you think is the perfect child for you. If a social worker tries to talk you out of waiting for a baby and you really want a baby, find a new social worker. What do they need to be straight about? Everything! You want full disclosure of everything they know. Where the court and, therefore, the agency are in terms of reunification or terminating parental rights of your child, the steps that have been taken, and the expected outcome. The child’s history and if there are any known relatives who might come forward and ask for placement. What the visitation requirements are if there is a biological family in the picture. The risk of reunification if parental rights have not been terminated. What else can minimize my risk? Choose a child whose parental rights have already been severed because that means the court has already charged social services with finding that child a permanent home. Choose an older child, a sibling set, or a child with special needs. There is an abundance of these groups of children needing homes. Is it possible to lose a foster child you were planning to adopt? Where does a Solo Mom turn for support and healing? A support group through the agency, your church, or a therapist. Celia Center offers monthly support groups all over the greater Los Angeles area. A listening partnership. Ask a friend to listen to you grieve without interrupting or giving any advice. Crying is our natural inborn mechanism for releasing and healing loss and pain. A friend’s warm attention anchors us in the knowledge that we are good and we will heal, and crying helps release the hurt. Ask friends to refrain from trying to cheer you up with such words as, “She wasn’t your baby. Your baby is out there, just looking for you.” That may possibly be true, and you might feel that way in several months or years. Right now, you need to grieve. Any other risks in the foster adoption process? Until the adoption is finalized, there are always risks. Even when the parental rights are terminated, some states allow that decision to be appealed. Investigate the laws in your state. 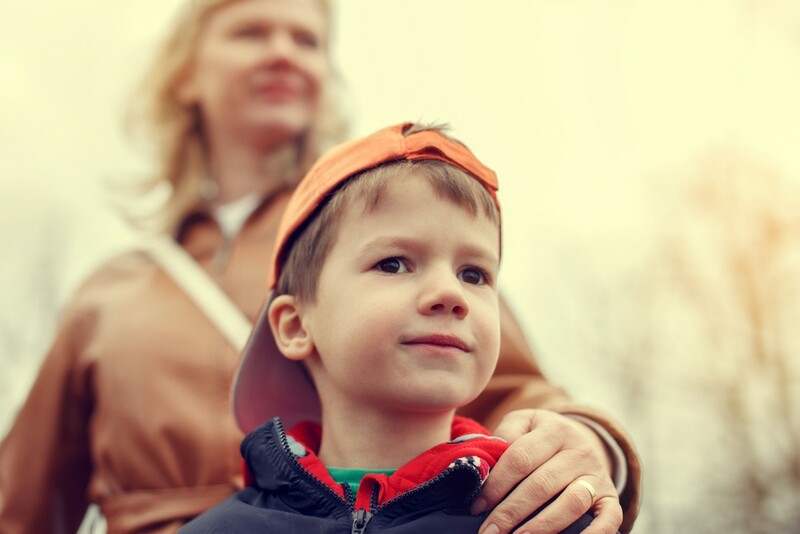 Without legal custody of your child, there are decisions that you cannot legally make. You cannot make medical decisions; therefore, you cannot decide to forgo or delay vaccines. Only the pediatrician can make that decision. There may be education and therapeutic decisions that the foster parent cannot make or must yield to the birth parents’ preference. Get support! Find a pediatrician, educators, therapists, etc., who agree with you and who will take your side in front of social workers and the court. Concurrent planning is a process that allows social services to provide reunification services to the child and the family at the same time the agency works on an alternative plan, such as adoption, permanent guardianship, or placement with a fit and willing relative. In the past, child welfare workers have focused their early efforts on attempting to rehabilitate parents and return children home. Only after those efforts were proven unsuccessful were alternative permanency plans identified and implemented. Through concurrent planning, a child can be placed in a permanent home more quickly. If a case is determined to be appropriate for concurrent planning, an effort is made to find an available concurrent planning family that is a good match for the child. A concurrent planning family is a foster family that is willing to work with the birth family and social services toward reunification and also adopt the child if reunification cannot be accomplished and adoption is the alternative plan. The obvious reward, especially when your adoption is finalized, is that you have become a mom! The mom who had lost three placements said she found a resiliency and strength that she didn’t know she had. Adopting through the foster-care system can be very low cost. Private, even nonprofit agencies may charge a fee, but government agencies do not. In many states, a child adopted through the foster-care system receives a monthly stipend and some form of health care until they are 18. Many states provide ongoing support and mental-health services for foster and adoptive families. There can be the satisfaction of taking care of one’s own. Children in the foster-care system are our children. There are thousands of children in our own communities who need a loving mom—that could be you! Be informed, and pay attention to any red flags. Get support throughout the entire process. You can choose how much risk you are willing to accept. Every situation is different, as every child is unique and comes with his or her own history. There are many, many children in the foster-care system who need forever homes. There are many, many Solo Moms who have adopted through foster care successfully. Kathy Gordon is an adoptive Solo Mom of a beautiful 11-year-old boy. They live in Los Angeles, where she home-schools, acts professionally, and is a certified instructor of Parenting by Connection. Gordon hopes that by sharing their journey, she can make yours a little easier and a lot more fun.